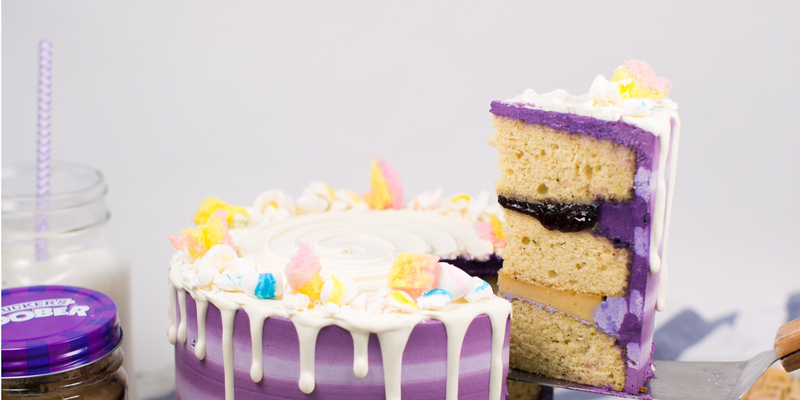 Re-live your childhood days with the classic PB & J sandwich flavour combination as we take a fun spin on it and transform it into a cake that can be enjoyed across all ages. This is a 3-layered fluffy and nutty Brown Butter Sponge sandwiched between blueberry jam and a peanut butter white chocolate ganache. We will teach you how to decorate your cake using a buttercream frosting technique to achieve clean stripes on your cake, reminiscent of the Smuckers Goober Jar. Come and join us for this fun and exciting class! *Decorative items such as meringue kisses and white chocolate drips will be provided and will not be part of the class.